Hello December, let the real festivities begin. Having a December birthday usually means I never really get in to the festive spirit until about half way through the month but this year I've been itching to sing Christmas songs and take a bite out of my first Christmas chocolates for what feels like the longest time! So as soon as my birthday passed on December 2nd, I was in full on Christmas mode by the 3rd. There's just something about December and the festive feeling that comes with it and this year I've felt it more than ever before! Now that we're well and truly into the month, I wanted to share some of the things I'm most looking forward to in the lead up to Christmas. I really enjoy cosying up with my laptop and a hot chocolate watching daily vlogmas videos in the December evenings. As it gets dark so early, I rarely want to venture out in to the cold! Being able to stay indoors and simply watch the festivities unravel makes me so happy. I particularly love watching Zoe's (Zeolla) vlogs all year round and so around Christmas time I love them even more. Not only are vlogs a great way to chill out and unwind in the evenings, they also give me some festive ideas to carry out myself throughout the month of December which is always welcomed! This month I'll be watching Zoe (Zoella), Alix (I Covet Thee) and Susie (Hello October). If you're still after some Christmas gift ideas then I've shared six different gift guides on my YouTube channel including: Beauty Baubles and Crackers; Beauty Gift Ideas; Luxury Gift Ideas (over £50); Non-Beauty Gift Ideas; Gift Ideas for Him; Affordable Gift Ideas (under £15). There's also lots of Christmas gifting posts on my blog too! Check those out here. 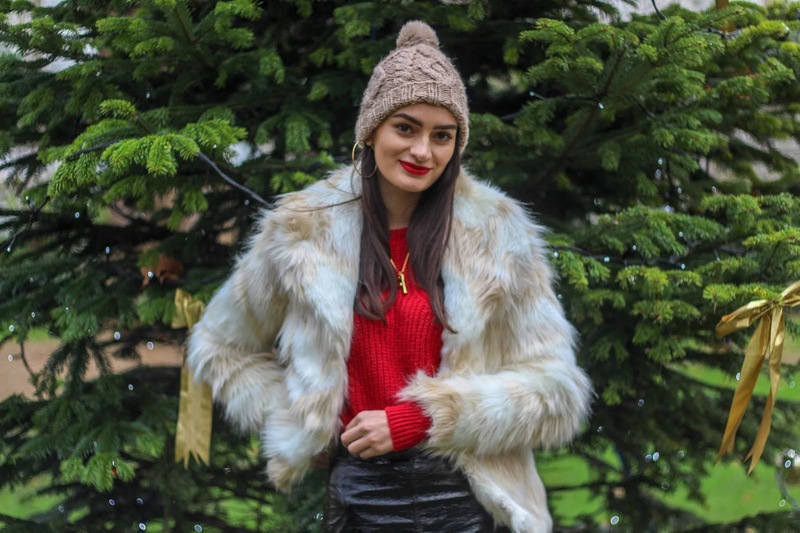 Pretty sure I mentioned this in last year's version of this post but I just love a festive jumper! This year there are some really great ones too so I couldn't resist adding a few more to my festive collection. I wore a different Christmas jumper in each of my gift guide videos a few weeks ago so it gave me more of an excuse than I needed to buy a few more jumpers for the festive season. In the UK, Christmas jumper day falls on Friday 14th December so if you haven't got one yet then make sure you grab one before then! 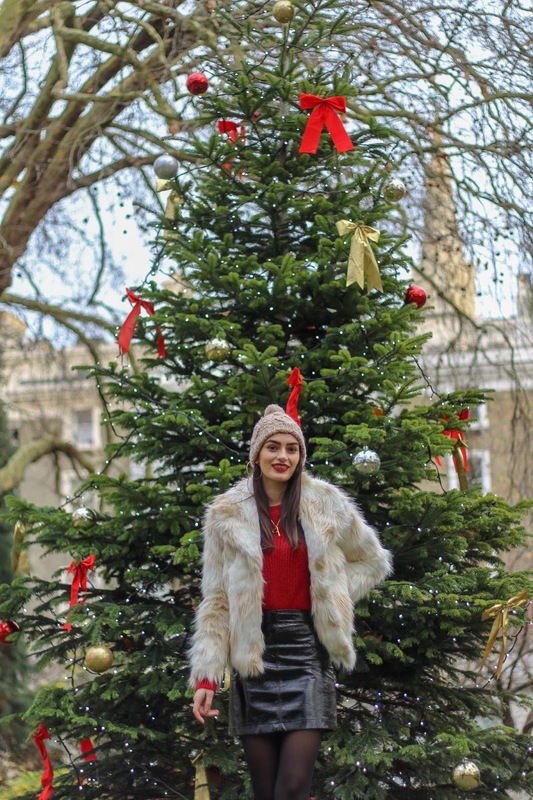 This year it looks like Christmas has thrown up in London and every corner of the city is embellished with Christmas baubles, trees and an array of fairy lights. I'm loving seeing these decorations popping up wherever I go and plastered all over my Instagram in festive snaps! I want to make an effort to visit a lot of Christmassy places this year because sometimes I find I see so many places that look incredible but that I never end up finding the time to visit. As time is so limited in the run up to Christmas, I absolutely want to make sure I tick some of these off of my list. So far, I've ticked off Winterville and the Natural History Museum but I still want to go to so many other places in London over Christmas including: The Ivy Chelsea Garden; Southbank Christmas Market; Winter Wonderland; Annabel's Mayfair; Pines & Needles; Covent Garden; Somerset House and so many more! A lot of us tend to take time off around Christmas time and I want it to be no exception for me this year. I find that sometimes I don't have the luxury of taking the time off myself because I always fear not posting enough content and falling behind as a result. This year, I want to give myself some more time to simply relax and enjoy the festive season with family and friends. It may not be obvious at first glance (I will probably still post on Instagram twice daily throughout December) but I want to be able to completely switch off in the evenings and lower my workload throughout the month. I'm going to be uploading less on YouTube (there are so many videos uploaded daily in December, I don't think we have the time to watch every video uploaded) which will allow me to focus less of my time on that and hopefully allow me to enjoy Christmas a little bit more!